Soliz Hair Mist is a non-aerosol spray launched in support of the green movement world-wide, with a view to offer you unprecedented hair setting experience. Its firm holding characteristic serves well to keep your hair in shape all day long. The shine it leaves sparks off attractions unimagine and there will be pleasent scented in the air that turns feeling fresh - it's from your hair! 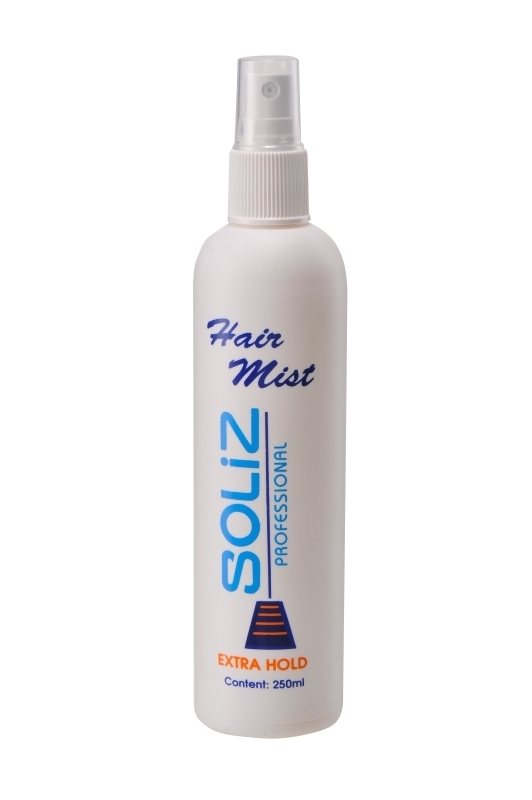 All there you can taste in a couple of seconds, thanks to the fast drying nature of Soliz Hair Mist. Hold 10 inches apart from hair and spray to your desired style.